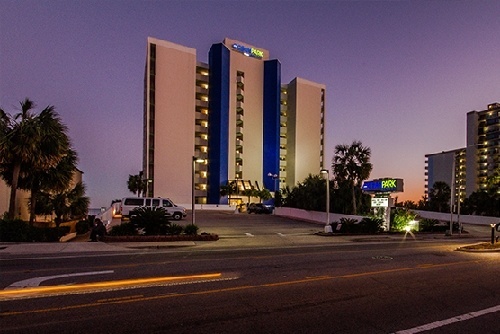 A seaside hotel overlooking the Atlantic, Ocean Park Resort offers comfortable and conveniently located accommodations near Family Kingdom Amusement Park, Myrtle Beach International Airport and more. Classic rooms include free Wi-Fi, flat-screen TVs with cable, microwaves, mini refrigerators and more. 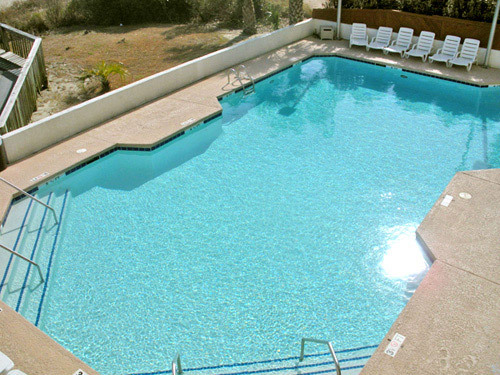 Guests can also enjoy multiple pools, a whirlpool spa, a sea-view deck, and an exercise facility. 1.2 miles from Family Kingdom Amusement Park. 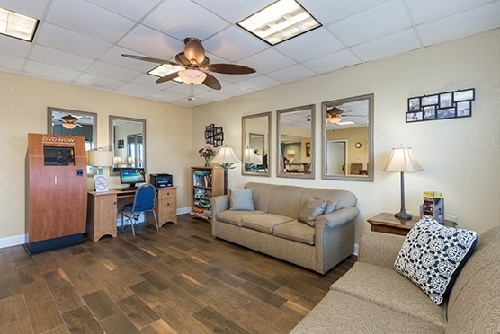 1.6 miles from Myrtle Beach International Airport. 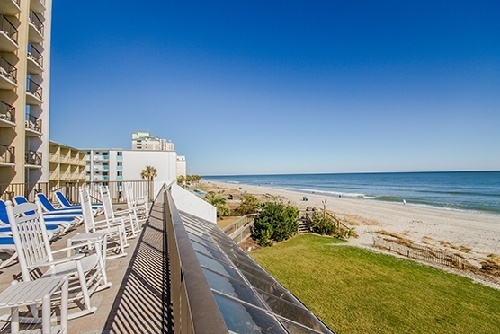 At Ocean Park Resort, relaxation comes with an ocean view and a convenient location among the best of Myrtle Beach's dining and entertainment venues. 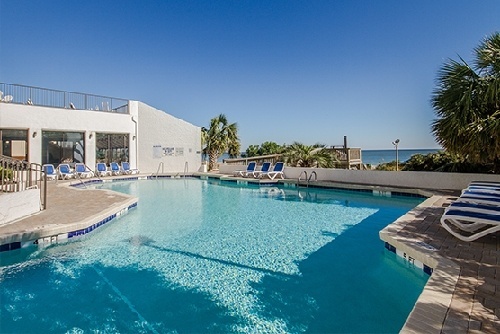 Soak up the sun on one of our two spacious oceanfront sun decks, cool off in our indoor or outdoor pools, or relax in our large outdoor whirlpool overlooking the ocean. An indoor hot tub complements a soothing end your day of sun & fun. 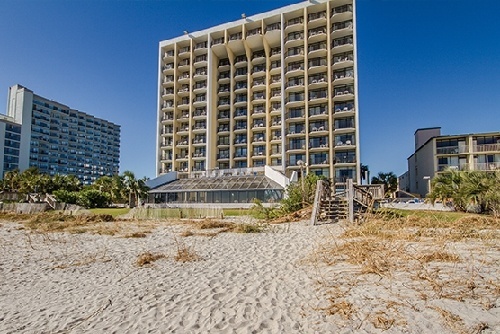 Ocean Park Resort is a spacious Myrtle Beach resort located along the Grand Strand, the perfect location for family vacations, golf getaways and sport tournaments. 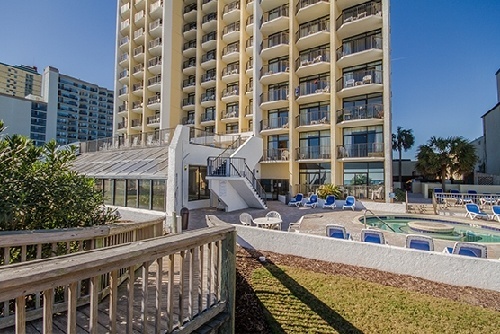 Offering both value and comfort, Ocean Park Resort is the perfect place for a southern retreat. 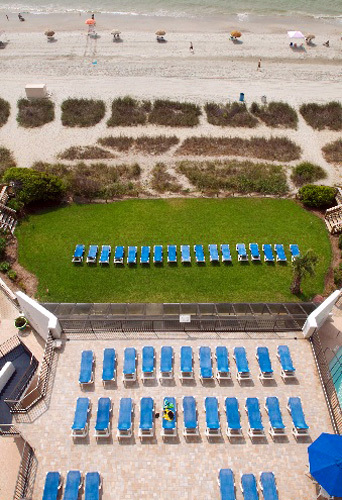 Our oceanfront Myrtle Beach resort features 125 rooms and suites able to accommodate the needs of any guest. Featuring furnished private balconies, fully equipped kitchens, spacious living areas and guest laundry services, our accommodations feel like your second home. 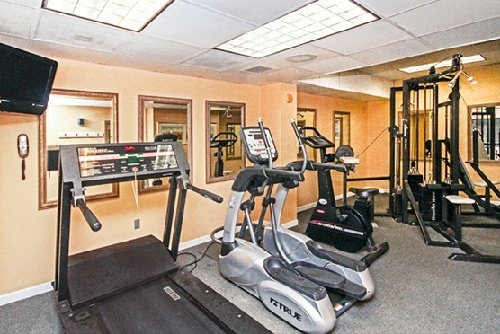 Business travelers will appreciate the onsite business center with Internet access and a fitness center to let off some steam. 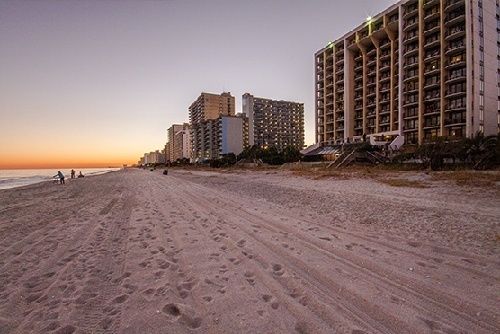 Among hotels in Myrtle Beach, Ocean Park Resort is the premier choice. 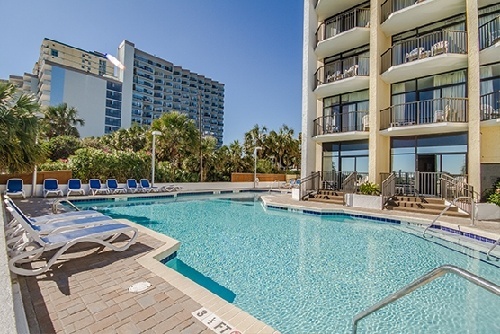 Let Ocean Park be your family's favorite place to stay in Myrtle Beach! 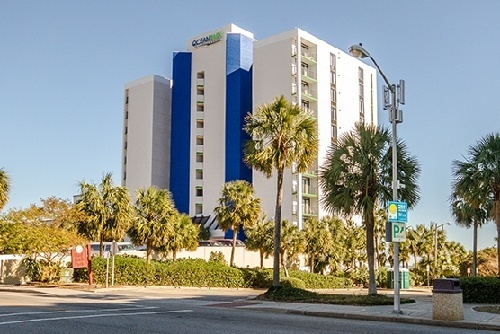 How many rooms are available at Ocean Park Resort? There are 125 rooms are available throughout at total of 12 floors. No, but there are a variety of eateries nearby and Broadway at the Beach, home to over 20 restaurants, is just 10 minutes away. What is the minimum age required for check-in at Ocean Park Resort? Are there any resort fees at this property? 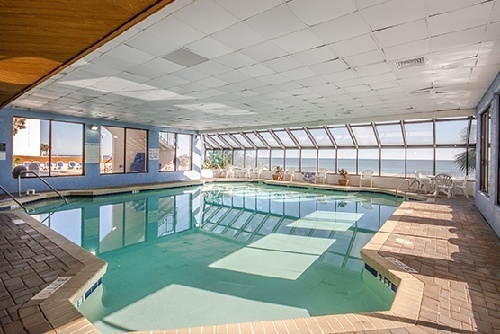 Ocean Park Resort has a $5.00 Resort Fee, charged nightly for length of stay. Is there a charge for rollaways or cribs at Ocean Park Resort? What are the pool hours at Ocean Park Resort? Yes, Ocean Park resort is 100% pet-friendly. Dogs 20 pounds or less can stay for $20.00 per night. Only one dog allowed per room, they must be kept on a leash when in public areas, and they are not permitted in the pool areas. We do not allow Rottweiler’s, Pit-Bulls, Dobermans, Boxers, German Shepherds or Chows. Carriers are recommended in the event you must leave your dog unattended in a guest room. Advance notice is required for all guests traveling with dogs. Guests can contact the hotel using the information on their E-Ticket. For those guests traveling with dogs, the pet fee will be collected at check-in. How far is Ocean Park Resort from the Myrtle Beach Airport? Yes, Ocean Park Resort is a smoke-free property.